Our Lake Havasu City hotel offers several meeting and event spaces near Lake Havasu, including a beautifully designed ballroom. 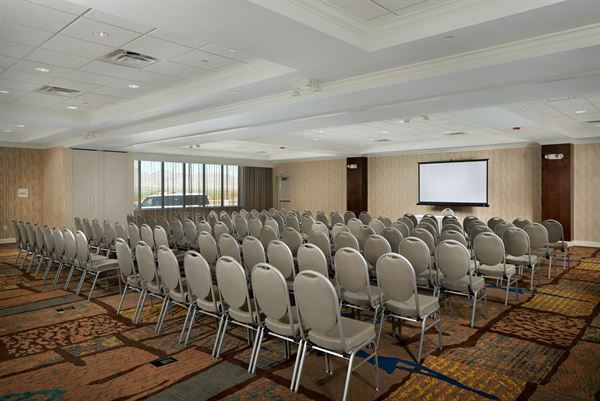 With space for groups as large as 200 people, our hotel also provides meeting rooms for more intimate gatherings, ample parking, modern A/V equipment and free WiFi. Host a wedding reception with the help of the friendly, attentive staff at our Hampton Inn Lake Havasu City hotel.